Yvonne Spicer greeted supporters at the Potter Road Elementary School on Tuesday. 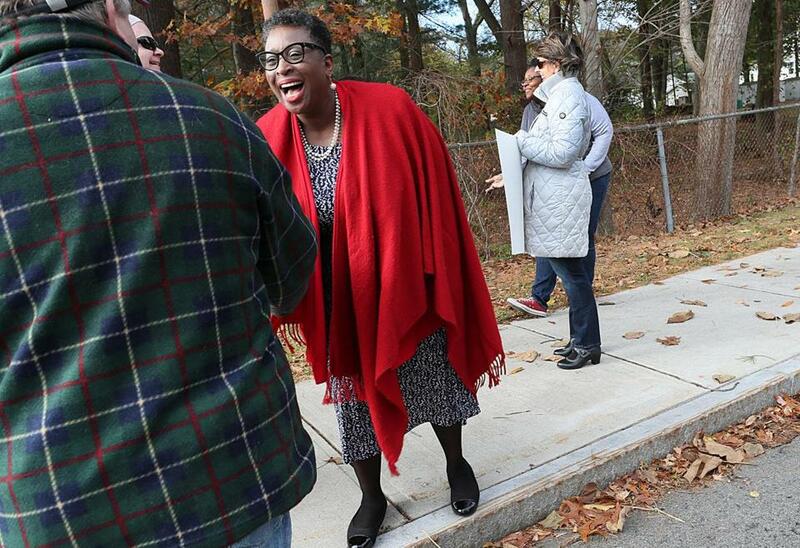 FRAMINGHAM — Longtime educator Yvonne M. Spicer was elected Framingham’s first mayor, defeating former state representative John A. Stefanini. Town Clerk Valerie Mulvey said Spicer won the race with 9,128 votes, while Stefanini collected 6,455 ballots. Mulvey said 39 percent of Framingham’s 40,162 registered voters cast a ballot in Tuesday’s election. Stefanini said he called Spicer and conceded the race after his campaign determined Spicer won several key precincts. See results from key mayoral races around Mass. There are several hotly contested mayoral seats up for grabs around Massachusetts. See results. 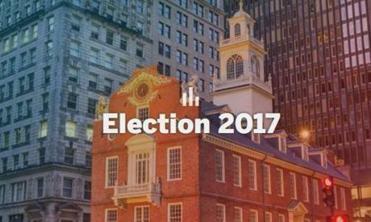 Read: See full results from key races across Mass. Spicer, 55, is a Town Meeting member and vice president of advocacy and educational partnerships for the National Center for Technological Literacy at the Museum of Science. She has also worked as a teacher and administrator in Framingham’s public schools, and as an administrator in Newton’s school system. Stefanini, 53, has worked for the past 17 years as a private attorney and as an instructor at Suffolk University law School. He served five terms as a state representative and two terms as a Framingham selectman. On Tuesday morning, at a polling place at St. Tarcisius Church in south Framingham, Spicer said she intends to promote the local economy and job creation, and focus on investing in Framingham’s schools. The community has traditionally had a north-south divide, and voters were split on whether to become a city. If elected, Spicer said she would work to bring the city together. Voters at St. Tarcisius were split between Spicer and Stefanini. Aggie Kadra, 74, said she supported Stefanini because she believed he could help improve south Framingham. The town is predominantly suburban north of Route 9 but becomes increasingly dense along Route 135, with apartments and multifamily homes surrounding older commercial buildings. Mary Ann Markmann said she backed Spicer because the candidate offered a fresh start for Framingham. “This city needs someone who can unify all sides. It’s a very diverse city. . . . I just believe she would be the one,” Markmann said. Framingham has increasingly struggled to meet the needs of its residents, particularly students, and Markmann believed a change to a city government would mean more educational funding for its schools. “These children need good teachers,” she said. Pat Whitfield, a Spicer supporter, said she wanted a mayor who didn’t come to the job with decades of political experience, referring to Stefanini’s time in the House and as a selectman. With Spicer, “she’ll bring openness and transparency to the government here in Framingham,” Whitfield said. The candidates were the two top finalists out of seven candidates after a preliminary election in September. In that September vote, 5,964 ballots were cast for Spicer, while Stefanini received 3,184 votes.